This post is regarding information and opinions from different sources mentioned under the each topic. This post is is not at all my opinion but a view collected from open source called internet. Taste testing is as simple as stimulus and response. We eat/drink something new, and our taste buds either love us, or hate us for the experience. If we zoom in closer on the taste buds of the tongue, we would see that they are made up of many cells. If we zoom in even further on the cells, we come to the apparatus at the surface of the cell responsible for interacting with molecules in food, and creating a response within the cell that will be transmitted to the brain. This apparatus is pictured above, and is at the core of the ethical debate. The two solid green, parallel lines represent the membrane of the cell. The purple ‘signaling agonist’ at top left is our food molecule. It binds to a receptor molecule that only binds molecules of a very specific shape and size. That receptor then slides to the right and interacts with G-Proteins, which activate other molecules such as Inositol Triphosphate, which in turn triggers what amounts to the old “Mousetrap” game–a cascade of responses within the cell. It’s more complicated than that, but that’s the fundamental mechanism in question here. PepsiCo employs the biotech company, Senomyx, to do their taste testing. Senomyx uses a line of cells that are derived from the kidney of an aborted baby in the 1970′s. The cell line is designated HEK (Human Embryonic Kidney) 293 (isolated and cultured successfully in the researcher’s 293rd experiment. These cells were isolated from the aborted baby’s kidneys and then grown and replicated in the laboratory in a liquid nutrient broth called cell culture medium. As long as one changes the broth periodically, the cells will continue to grow and divide. In research, certain cell lines become the standard for use in a given field. Typically, the cells that become the standard, such as HEK 293 are remarkably stable, easy to work with, and provide reliable and repeatable results. These characteristics enable researchers to pursue tangential and parallel lines of research with great confidence in the relatedness of different labs’ results when the same cell line is employed. It assures us that we are all speaking the same cellular language, and not different dialects. Hence the very thing that is a strength can also be a liability if cell lines have base and illegitimate origins. HEK cells are the standard in many fields of research. They are especially good at being used as “living test tubes” for creating proteins, such as the G Protein used in taste sensation. Senomyx has been able to produce the G proteins within these cells and then isolate these proteins. They have then used these proteins in a proprietary construct to get a test tube response system to different molecules used in flavoring. Therein lies the tastelessness of the research method. The question is whether or not other cell lines exist, from which the same results may be gleaned, and how reliable these alternatives may be. HEK293 is a cell line derived from human embryonic kidney cells grown in tissue culture. They are also known, more informally, as HEK cells. This particular line was initiated by the transformation and culturing of normal HEK cells with sheared adenovirus 5 DNA. The transformation resulted in the incorporation of approximately 4.5 kilobases from the viral genome into human chromosome 19 of the HEK cells. The line was cultured by scientist Alex Van der Eb, in the early 1970s, at his lab at the University of Leiden, Holland. 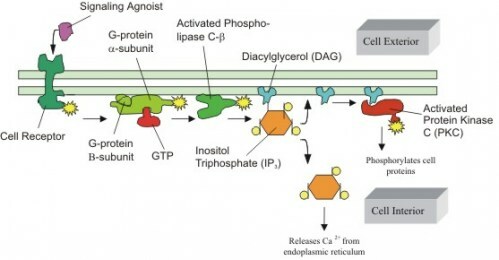 The transformation was executed by Frank Graham, another scientist Van der Eb's lab, who invented the calcium phosphate method for transfecting cells. The source of the cells was a healthy, aborted fetus. The name HEK293 is thusly named because it was Frank Graham's 293rd experiment. The type of kidney cell that the HEK293 cell line is unknown, and it is difficult to conclusively characterize the cells post-transformation, since adenovirus 5 could have significantly disrupted cell morphology and expression, and embryonic kidneys are a heterogenous mix of almost all the types of cells present in the body. In fact, it has been speculated by independent researchers, including Van der Eb himself, that the cells may be neuronal in origin. This is possible, although most cells derived from an embryonic kidney would be endothelial, epithelial, or fibroblasts. Neuronal origin is suspected because of the presence of the presence of mRNA and gene products typically found in neurons. Let’s look for a moment at the problem of vaccines manufactured in aborted fetal cell lines. It has been suggested in some Catholic circles that the distance between today and the abortion from decades ago that established the cell line, and the proportional good to be gained and evil to be averted through use of the cell line vaccines can be sufficient to merit the use of the vaccines and attenuate complicity and culpability in the abortion. Some might agree, and some might disagree. I’ve heard Catholic bioethicists and clergy on both sides of this issue. But the issue begs a deeper question. The more that HEK 293 is used (and it is used rather ubiquitously now), how many products are we morally obliged to refrain from using? How many medical treatments, with no ethically sound alternative, must we forgo? HEK 293 is used to manufacture proteins in thousands of labs, and is omnipresent. What do we do with a field already saturated by the use of aborted cell lines? Since this story has much to do with PepsiCo, I thought I would offer my personal opinion on this corporation. In my opinion, PepsiCo is a highly destructive corporation that is partially responsible for obesity, diabetes, depression and bone disorders among hundreds of millions of people around the world. Through its aggressive (and deceptive, in my opinion) marketing campaigns, lack of corporate ethics and ready willingness to exploit human beings for profit, PepsiCo has risen to be one of the most financially profitable yet ethically bankrupt organizations on the planet. Frito-Lay: Dangerous junk food that contributes to obesity, heart disease, cancer, depression and other serious diseases. 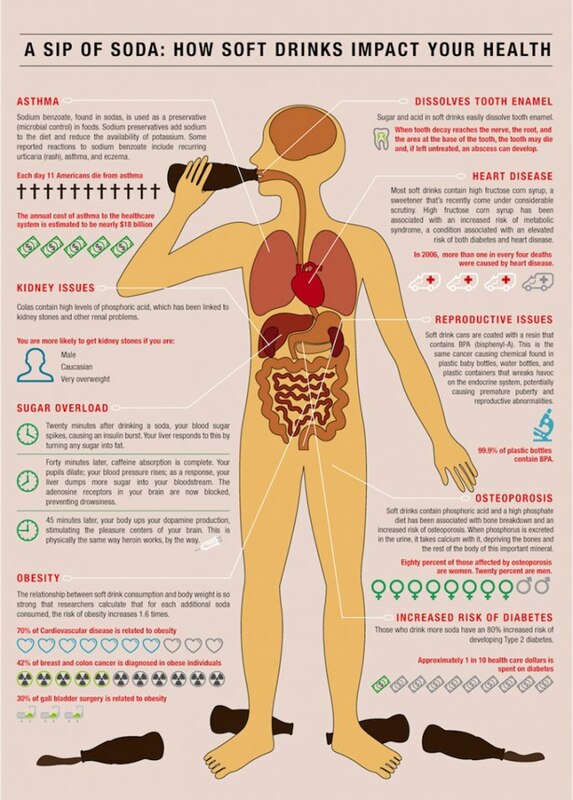 Pepsi-Cola: Toxic beverages that destroy bone mineral density and poison consumers with chemical sweeteners in diet drinks. Gatorade: Crap sports drinks that contain artificial colors made from petrochemical derivatives. Tropicana: A low-end fruit juice brand engaged in deceptive labeling for many of its products. Quaker: This is perhaps the only tolerable brand in the PepsiCo portfolio. Oatmeal is essentially good for you, although instant oats and all the sugars found in many oatmeal products make it a rather high-glycemic food that's not recommended for most people (especially diabetics or obese people). Put it all together and you have a collection of some of the least healthy foods and beverages on the market today. When future historians examine today's epidemics of obesity and diabetes, they will no doubt scrutinize the role of companies like PepsiCo and Coca-Cola, both of which are partly to blame for modern disease epidemics. Both companies, by the way, continue to engage in routine marketing of junk foods and sodas to children. Pepsico is a corporation that won't even list the acrylamide content in their fried foods. Nor will it publicly admit that high-fructose corn syrup has any link whatsoever to obesity. PepsiCo, in my opinion, is a corporation living in a deviant reality, unwilling to take responsibility for its role in poisoning the population through its toxic food and beverage products. QWhat is the difference between natural and artificial ingredients? Is a naturally produced ingredient safer than an artificially manufactured ingredient? Answer: Natural ingredients are derived from natural sources (e.g., soybeans and corn provide lecithin to maintain product consistency; beets provide beet powder used as food coloring). Other ingredients are not found in nature and therefore must be synthetically produced as artificial ingredients. Also, some ingredients found in nature can be manufactured artificially and produced more economically, with greater purity and more consistent quality, than their natural counterparts. For example, vitamin C or ascorbic acid may be derived from an orange or produced in a laboratory. Food ingredients are subject to the same strict safety standards regardless of whether they are naturally or artificially derived. Question: What is the role of modern technology in producing food additives? Answer: Many new techniques are being researched that will allow the production of additives in ways not previously possible. One approach is the use of biotechnology, which can use simple organisms to produce food additives. These additives are the same as food components found in nature. In 1990, FDA approved the first bioengineered enzyme, rennin, which traditionally had been extracted from calves’ stomachs for use in making cheese. CAI rallied consumers from around the world to complain to PepsiCo about the current labeling of Aquafina, and thousands of consumers slammed PepsiCo's phone lines so hard that the company was forced to shut down call center operations. CAI told NaturalNews that within 30 minutes after the call-to-action announcement went live, PepsiCo's consumer phone lines were no longer being answered and would not allow callers to leave voice mails. Pepsi executives reportedly held an emergency meeting and made a decision to add the phrase, "Public water source" to Aquafina labels. However, serious ethical questions are being raised as to the source and procurement of the necessary tissue. While some experts in the medical community forecast unlimited potential for fetal tissue technology, others have expressed deep concern as to the limits to the ethical and moral dynamics of the issue. PepsiCo entered into a four-year agreement with Senomyx for the development of artificial high-potency sweeteners for PepsiCo beverages. Under the contract, PepsiCo is paying $30 million to Senomyx for the research and future royalties on PepsiCo products sold using Senomyx technology. When the prolife group wrote both companies requesting they use one of several non-objectionable, viable cell lines listed in their patents, Senomyx did not respond. 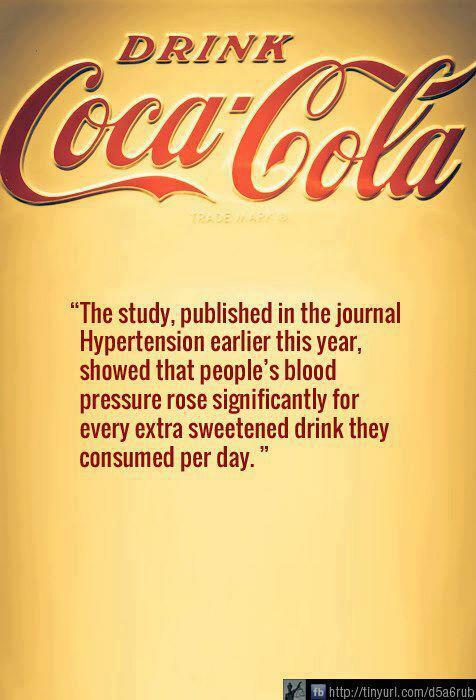 PepsiCo did reply however and insisted that its use of the research from Senomyx would produce "great tasting, lower-calorie beverages." Scott is a blogger, writer, and researcher whose primary focus is how to raise healthy kids despite a system and status quo that makes it as difficult as possible. He and his wife, Kim, live in the hills of east Tennessee with their four small children. He holds an MBA from East Tennessee State University. Scott and Kim blog about parenting, marriage, healthy lifestyle, nutrition, and homesteading at www.amorefieldlife.com. Connect with them on Facebook at www.facebook.com/amorefieldlife.